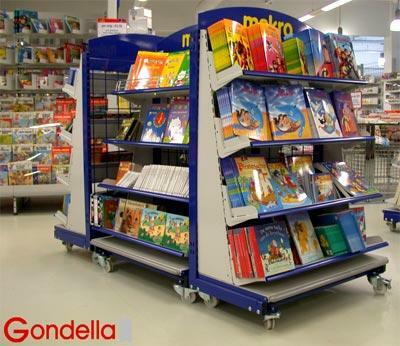 GONDELLA, Magazine - amenajare, Vitrine pentru magazine, display shelving, pe EUROPAGES. 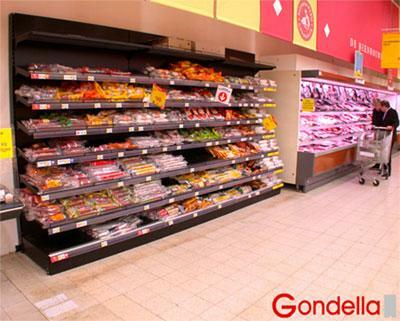 Gondella nv is a Belgian group that manufactures a complete range of shelving solutions and associated accessories. It manufactures all metal parts, from steel sheets and welded special tubes to finished products covered in epoxy lacquer according to the client's desired colour. 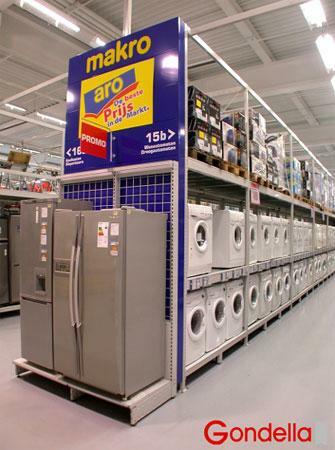 Furthermore, the system is completed with other elements, such as plastic rails for labels, glass, hooks and metal baskets. The latter are made by a subcontractor according to Gondella's design.